Daiwa Saltiga Dogfight Review - 2017 - Can the DOG FIGHT? The Daiwa Saltiga Dogfight is a reel ready to go tooth and fin with species the like of the Soupfin Shark, strong Amber Jack, Yellowtail, or 100+ lb Bluefin Tuna. 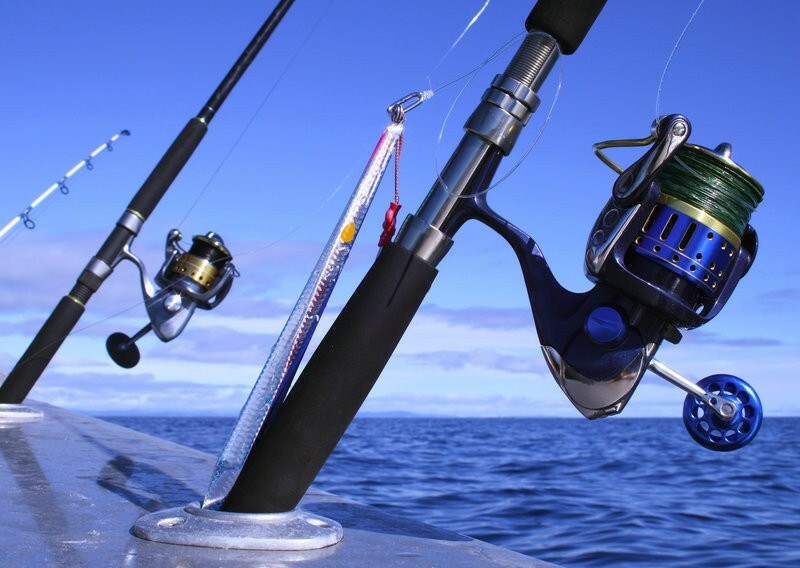 The dogfight is a sturdy and durable reel that will hold up against incredible force. She boasts 66 maximum pounds of drag to be precise and doesn’t stop there. Additional features like its magsealed® technology and 15 ball bearing system have droves of fishermen raving that it has the smoothest retrieve around. 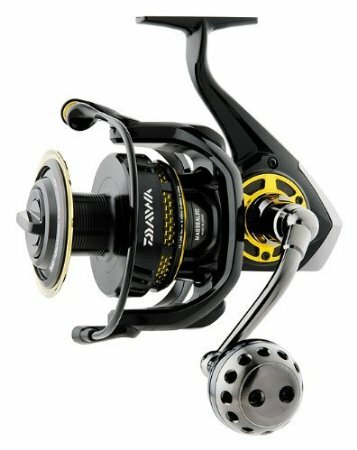 This reel goes above heavy reels like the Shimano Stradic FJ6000. Does the Daiwa Saltiga Dogfight offer equal value for the asking price? Let’s find out! The Saltiga Dogfight 7000 is a slightly bigger reel than Daiwa’s earlier models. It’s spool can hold 375 yards of 25 lb mono and 550 yards of 80 lb braid. With 66 ponds of possible drag, this reel is made for the braid! Fighting heavy fish is what this reel does best and it comes with a list of features that enhance its ability to do this. It delivers fine finishing touches in the form of a comfortable yet strong machined handle and precision laser engraved logo. Magsealed® System Body – Daiwa introduced this technology with the release of the Saltiga reel back in 2010. It makes use of an metallic based oil that is given a magnetic charge (See Video Below). Sealed bearings placed in optimal positions act to both stabilize the reel and seal the inner components from outside debris. extremely durable, it’s design spreads the stress of heavy pressure from line pull. Protrusion Free Air Bail System – Prevents line from coiling, catching, or bunching up. Ultimate Tournament Drag System – Incredibly dense carbon fiber discs are sealed with the magseal oil. This new technology added to the drag of the Saltiga has produced revolutionary results. Offering 66 pounds of smooth and immediate drag, this system is hard to beat. 15 Bearing System – 4 CRBB (Corrosion Resistant Ball Bearings) are magsealed® to protect the inner bearings and gears. 10 bearings on the inside add to the smooth ride. Finished with 1 anti reverse ball bearing. Digigear Gear Design – Built for power, speed, and durability! 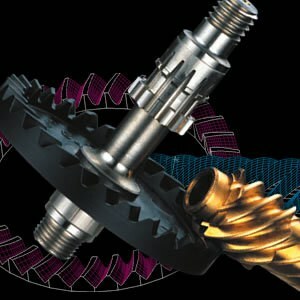 The gear system makes use of a tough treated alloy on the surface of the drive gear, and marine bronze for the pinion gear. It’s digitally made which means it’s been CNC (Computer Numeric Control) machined. Manual Return Bail Closure System – No need to flip the bail closed. Simply start reeling and it automatically engages. Forged Aluminum Spool With Titanium Nitride SVS Spool Ring – Built using some of the strongest, yet lightest weight material around. 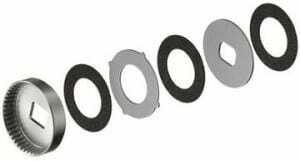 The SVS Titanium Spool Ring adds extra reinforcement at the point where the spool is weakest. It’s worth noting how Daiwa has made use of the magsealed® technology in the Dogfight Saltiga reel. They’ve used it not just for durability and keeping the grime out but also to aid in retrieval, balance, and weight disbursement across the whole reel. Though it’s similar in size, it’s easy to see why it outshines such reels as the Penn Battle II 8000. The Daiwa Saltiga Dogfight is packed with features which all work together to perfect its one true intention. This reel is made to handle large saltwater game fish. There’s no doubt that its highly developed technology puts it in a class of its own. The treasure I like best is that you can put 550 yards of 80 lb braided line on the spool. Once you’re hooked you can then apply up to 66 lbs of smooth drag on that prized fish. 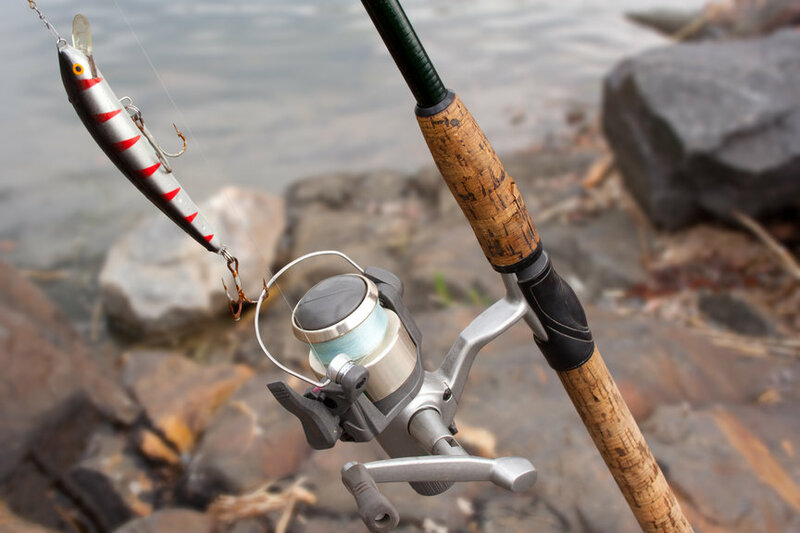 Choose carefully a rod that will work to support this reel! There aren’t many drawbacks to consider when it comes to design and performance. The Dogfight definitely joins the more expensive class of reels. Everything they put into this reel to make it perform just adds up. However, at the end of day, thats what makes all the difference when your out on the water. The Saltiga Dogfight also has an inherent lack of versatility. You’ll match it like you should on a heavier stick and use it to land a monster fish. Any other application would be better left to a different setup completely. The Daiwa Saltiga Dogfight Spinning Reel is for the serious angler who doesn’t mind investing in a high performance piece of equipment. Fortunately, the technology used also works toward durability and results in greatly increased longevity. The final verdict is that the Dogfight is exceptional at fighting and landing large game fish on the ocean. One I can highly recommend. Is the 7000hdf is newer than the 8000hdf model?? nop! 7000 since 2014 but both are equal (less braid capacity). 7000 equal capacity that 20kstella for boat and 8000 better for giant tuna of coast!